Nigeria's Action Congress party on Wednesday described as late, President Umaru Yar'Adua's directive to security agencies to probe a N250m bribery allegation, electoral fraud and intimidation during the Ekiti State rerun governorship election. According to The Punch, the party, in a statement issued by its National Publicity Secretary, Alhaji Lai Mohammed, said the President would have received accolades from all Nigerians if he had acted promptly and provided leadership when it mattered most. 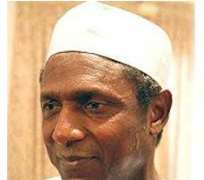 The party accused Yar'Adua of remaining silent during the stalemate which also saw the resignation of the Resident Electoral Commissioner, Mrs. Ayoka Adebayo, adding that the President's attitude contrasted sharply with what obtained in Ghana during the country's December 2008 election. It explained that the then outgoing President John Kufuor sacrificed his party's interest for that of his country. Read The Punch's article by Akin Oyedele and Mudiaga Affe.